Get ready Bandon for Music in The Park on Sunday afternoons in City Park. This is a free event open to the public sponsored by the Greater Bandon Association and the City of Bandon Parks and Recreation Commission. It will begin on Sunday, July 24th and thereafter every Sunday afternoon in August from 1 to 4 PM. 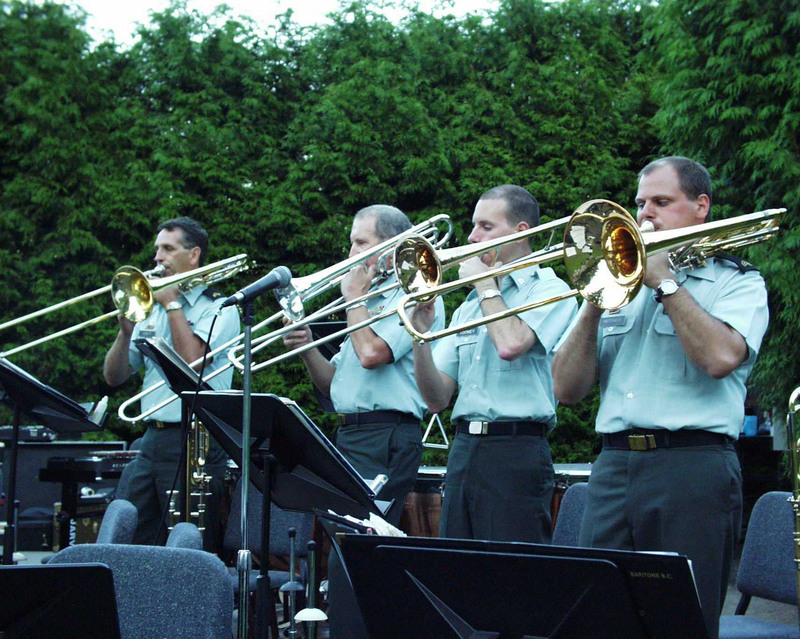 “Oregon’s Own” 234th Army Band of the Oregon National Guard will perform at 1 PM on July 24th. This event will feature “Brass Ops”, a 12 member musical performance team of the 234th Army Band. The brass band features high energy traditional and contemporary brass arrangements, marches and historical literature to tell the Army story through music. Music in the Park continues on each Sunday in August with a wide variety of performers. Local artists will provide folk, country, pop and big band sounds at no cost although the musicians will be gladly accept donations. On most Sundays, multiple artists will be appearing.